Jakarta – Indonesia has so far proven to be the most favorite destination for Australian tourists, overtaking New Zealand, Indonesian Ambassador to Australia Nadjib Riphat Kesoema said. “The variety of natural wealth and beauty, culture and world-class tourist facilities that the Indonesian government offers to tourists have become special attractions for Australian tourists,” he stated in a press statement released on Saturday. His remarks came when the Indonesian Tourism Ministry and the Indonesian Embassy in Australia were conducting a promotional activity at Hotel Hyatt in Canberra recently. Besides helping promote mutual understanding between the peoples of the two countries, the tourism sector can also create jobs in Indonesia, he added. He underlined that he supported the program to conduct tourism promotion in several Australian cities such as Canberra, Sydney, Melbourne and Brisbane. The program will serve as a venue for a meeting between Australian travel agents and their Indonesian counterparts directly, he said. The ambassador has called on Australian tourism companies to encourage Australian citizens to visit other Indonesian tourist destinations than Bali. 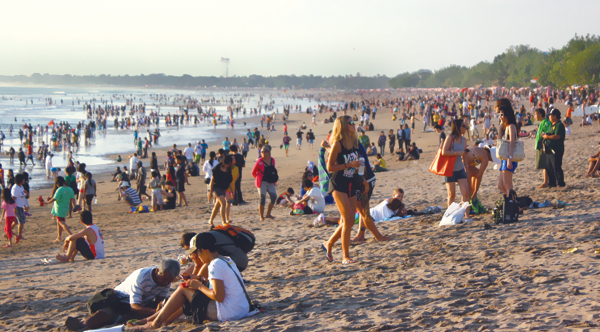 Data from the Indonesian Embassy in Canberra showed that almost 85 percent of 1.2 million Australian tourists visited Bali in 2015.